There is a noticeable shift occurring in the world of order management. Traditionally, projects related to order-taking were spearheaded by the customer service department. Not anymore. The pressures of today’s global economy have forced supply chain functions to play a more direct and strategic role in reducing costs, improving the customer experience, and driving added value throughout the organization. Naturally, supply chain leaders now have a significantly higher rate of interest and involvement in order management initiatives. 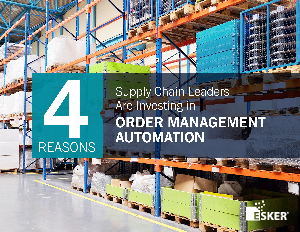 Supply chain leaders work in a competitive environment, and in order to get ahead of the competition, they are increasingly turning to order processing automation solutions.